There’s weight loss and there’s fat burning. Two very different things. Understanding how our bodies respond to carbohydrates is the key to getting leaner, stronger and building a metabolism that works for us. We’re not talking about weight loss. Well, yes, we are. But not in the traditional sense. I’m all for being lean and strong. Not too lean that our hormones get all mucked up, but lean enough that we feel good in our jeans, confident in a room of strangers, yet guilt-free around food. It’s a delicate balance, something that has taken me years upon years to build on. What doesn’t work? Calorie restriction. Sure, weight may be lost, but muscle usually is, too. Our metabolism down-regulates leading to less energy, less intake, less of just about everything. Read my post on the metabolic effects of a low-calorie diet that I wrote for Ditch The Wheat. Another thing that doesn’t work? Low carb, keto all the time. We are women. Our bodies are brilliant. We have certain systems in place that influence hormone regulation when we get the sense that resources are sparse. We don’t want this. We want our bodies to feel nourished every moment, every day. And to do this, we need to spark them into action. What I’ve found DOES work is timing carbohydrates in a way that helps us burn fat and build muscle at the very same time. Today, I’m reviewing the book, No Fail Fat Burning for Women – a simple (and powerful) introduction to the world of using carbohydrates to your benefit. If you want to burn fat, get lean, be strong, feel confident, regulate your hormones and… maybe eat cake every once in awhile, today’s video is your jam! Have you used the timing of your foods to regulate hormones and achieve weight loss? I’d love to hear your story in the comments below. You are here because you’re in the business of losing fat or changing your body composition and because the toothpaste you use has everything to do with fat loss, no actually it does, I’ll explain. I have been using this tooth powder, tooth powder, do you see? Yeah, tooth powder, Ecodent tooth powder for the last 2 months. I just picked it up at the local health foods store and I’ve been using it instead of fluoride based toothpaste and all this is like baking soda and a couple other awesome ingredients. There’s peppermint oil, and none of them is fluoride. Since you’re in the business of losing weight, perhaps maybe your thyroid is imbalanced. Interestingly enough, the reason I switched out my toothpaste was because I learned that fluoride can cause thyroid imbalances. Just a quick note out there for anyone that’s having thyroid issues, you may want to look up the connection between thyroid and fluoride. Let’s jump right back into it. 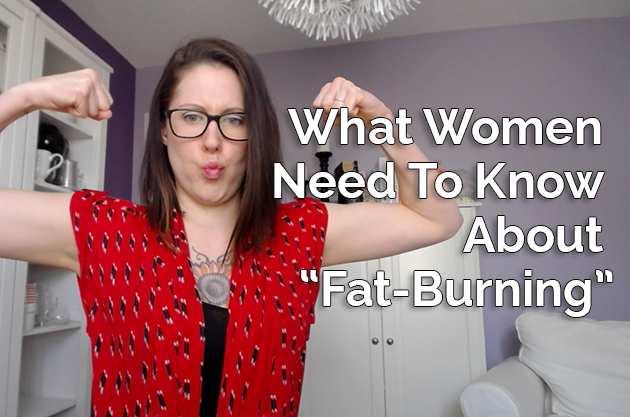 What is No Fail Fat Burning for Women and how do you get it in your life? Well, yes this is an archaic iPad. It’s the first version that was in Canada back in the 1990s. Just kidding, it’s just really old. No Fail Fat Burning for Women is an e-book. You can also get it on Amazon as a paperback copy and it’s written by Skye St. John and today, we’re going to be going through some of my thoughts around Skye St. John’s approach to losing weight for women. Highlights, it’s a fat loss book that focuses on a low carbohydrate, high fat, moderate protein, or ketogenic eating style. She also uses a cyclical approach to losing weight, so every couple of days, you are increasing your carbohydrates to boost hormone levels. Very little exercise is required. She outlines about [00:02:00] 3 days a week where you do exercise, and it can all be done at home with the stuff you have around your house. Just based on these highlights alone, if this is of interest for you, I highly recommend getting this book, but let’s get into the nitty gritty details about what I liked and didn’t like about this piece. What I liked, the humor and personality that Skye St. John has throughout the book makes it an even easier read. The book is clearly organized and laid out in a way that makes so much sense. You can tell that a woman wrote it. It’s in line with the Bulletproof diet approach. Basically, she’s just tailored it more toward woman with a couple of more refeeds in how to approach a cyclical low-carb, keto eating style for women. I also love that she mentioned that the 8-hour eating window when you’re practicing intermittent fasting does not have to include your blended drink. In fact, I have mine right here every time I make a video. It’s in the morning and I drink this in between takes. It’s not counted as part of my eating window because all there is is fats and a little bit of protein, which means that my body will continue to fast. What I didn’t like about the book, just more so the overall branding of No Fail Fat Burning for Women is that it is next to impossible to find Skye St. John online. With a lot of the images on Instagram as well as their Facebook page and even within the book, they’re all stock photography of well-built women, but there’s not a lot of personality added to it, and so if you’re the type of person who likes to be connected to the individual that you are taking some advice from, this might not be a good resource for you. The outline of what you should be eating is basically a bullet list of the things you should and should not be incorporating, and for people that don’t trust their bodies [00:04:00] or don’t understand their hunger pains or are just getting started in low-carb, high fat, keto, it can be really overwhelming to just have a list of foods to pick from, and so that’s one of the things I didn’t like about the book and very similar to what I thought about the Bulletproof diet book, No Fail Fat Burning for Women is a great resource if you’re already on the high fat, low-carb, keto eating style approach. If you already know how it feels in your body, if you already know how ketosis feels, she doesn’t really touch on ketosis much but this is basically a ketogenic eating style. Perhaps there’s a little bit more carbohydrates. It depends on how you approach it but if you’re looking for more of a cyclical practice and understanding how to optimize fat loss for women, this is a great book for you. If you’ve read the Bulletproof diet book and you enjoy it but you’re a woman and some of the stuff that is highlighted, you feel like maybe it was geared towards men, this book definitely bridges the gap for you. This book is not so good for you if you do resistance training. I’ve started going to the gym 4 days a week and lifting heavy, heavy weights. If you want to follow my progress, I have linked up to my Instagram page somewhere along here and you can follow along with what I’m eating, what I’m doing for my workouts and when I feel confident in what I’m doing, I will share all the details with you, but in the meantime, if you are practicing resistance training, this type of keto eating style may not be right for you because it may not be enough carbohydrates to sustain you. There you have it. If all of this stuff resonated with you and you want to grab a copy of Skye St. John’s book, I’ve included a link below that goes to Amazon. Grab a copy, read it in a couple of days and let me know what you think. If you liked my video and you want to hear more from me every week, subscribe to my channel. I’ve included a link up at the top corner and I will [00:06:00] see you next week. Okay, bye.